Bud and I built this stone patio in our backyard in front of an old arbor. I have red and yellow climbing roses and purple clematis planted on the arbor. A plantation bell stands at the end of the arbor. 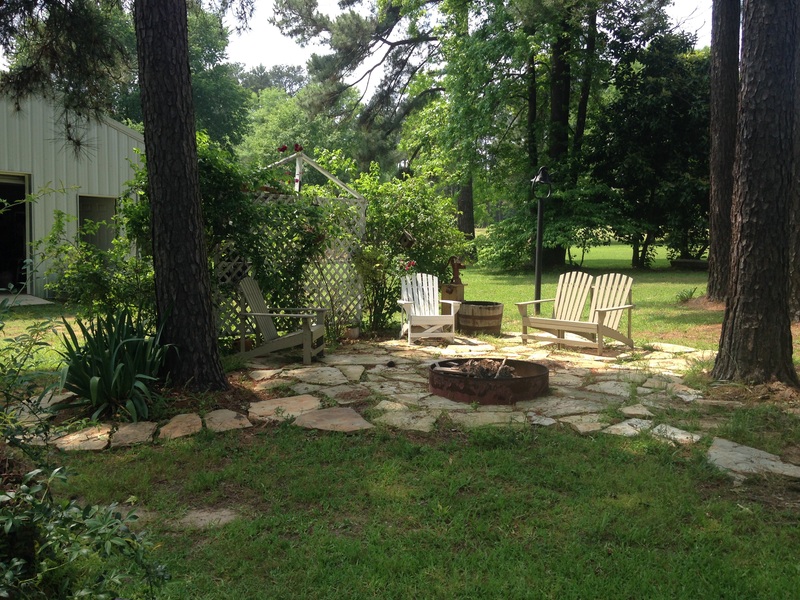 A fire pit sits in the center of the patio. An old hand pump pours into the whiskey barrel fish tank. The stone path leads back to the house.